Jenene D. Collins, 57, of Glenns Ferry, died Saturday, Sept. 15, 2007, at her home, after a long battle with cancer. 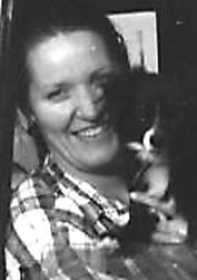 Jenene was born on Nov. 24, 1949, in Twin Falls, to Charles and Rose Burgoyne. She was raised and schooled in Twin Falls. On June 15, 1969, she married Robert "Tiny" Collins and together they had a daughter, Kimberly. In 1974 the family moved to Glenns Ferry where they both worked. Jenene worked various jobs to help support the family. She went back to school in 1991 and got a degree in computers. Jenene's greatest joy was becoming a grandmother, her family said. "She loved to hunt and fish with her family, which included teaching this to her granddaughters. Megan, and Paige. She also looked forward to her once a year "escape" to Winnemucca with her daughter, Kim. Jenene is survived by: her husband and hunting partner, Robert Collins of Glenns Ferry; her daughter, Kimberly Collins of Boise; two granddaughters, an uncle, an aunt, many cousins, several nieces and nephews and numerous friends. Both her parents, a brother, a sister and two nephews preceded her in death. In lieu of flowers, the family requests donations to be made in Jenene's honor to the Life's Doors Hospice, P.O. Box 5754, Boise, ID 83705.